On 17 February 2018, a group of young Belarusians holding a banner reading ‘Legalize Belarus’ gathered on Independence Avenue in the heart of Minsk. 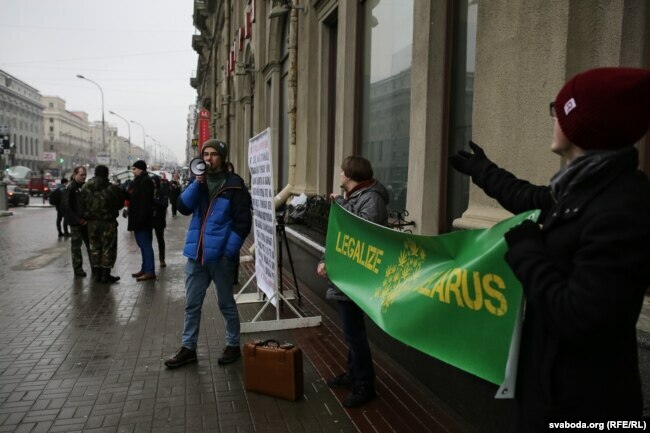 The group was campaigning for the legalisation of marijuana in Belarus, a proposition that, at least for now, seems unlikely to attract support from the public or government officials. The perception of cannabis use in Belarus has been largely shaped by Soviet-era misinformation and anti-cannabis propaganda disseminated by the Lukashenka government. Adding to the stigma of cannabis use is the fact that Belarus has some of the harshest drug laws in Europe and its penal code makes no distinction between categories of drugs. This means that possession of cannabis is prosecuted (and perceived by the public) in much the same way as possession of heroin. With Belarus’s draconian drug laws having a permanently detrimental impact on the lives of untold numbers of youth due to simple cannabis possession, those advocating for legalisation would likely consider any measure of decriminalization a success. On Legalize Belarus’s website it states that more than 15,000 people are currently in prison in Belarus for drug-related crimes. The majority of those convicted are serving 5-8 year sentences with many working as forced-labourers in prison camps. In an article posted in January 2017 on Belarus Digest, Alesia Rudnik noted that in Belarus a conviction for drug possession can carry a significantly heavier prison sentence than even criminal acts of paedophilia. In clear cases of petty possession, Belarusian prosecutors tend to always push for trafficking charges, as this guarantees a minimum prison sentence of 5-years. Moreover, the Belarusian authorities’ intolerance of both drugs and dissent puts participants in organisations and events supporting the decriminalisation of cannabis at risk for steep fines and up to 15 days in jail for their activities. 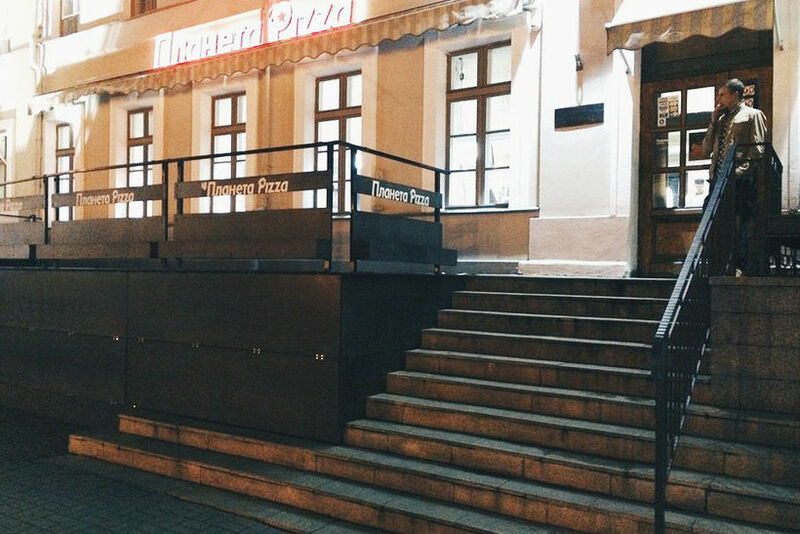 As part of instilling a fear of cannabis into the minds of Belarusian children, the government occasionally holds trials of accused (though soon to be convicted) cannabis users in public locations such as schools. In the Fall of 2017, a 30-year-old woman charged with ‘storing hash’, was sentenced to three years of ‘restricted freedom’. The trail was held in the classroom of a school in Minsk while students watched. And while three years of ‘restricted freedom’ was a mere slap on the wrist by Belarusian standards, this case was an outlier. Show trials and unreasonably long prison sentences undoubtedly serve as powerful deterrents against cannabis use amongst Belarusian youth, especially when the accused are tried and convicted in schoolrooms full of children. Even in comparison to the Russian Federation’s cannabis laws, Belarus is far stricter. In Russia, possession of 6 grams or less of cannabis is prosecuted as an administrative offence, the Russian equivalent of a misdemeanour. 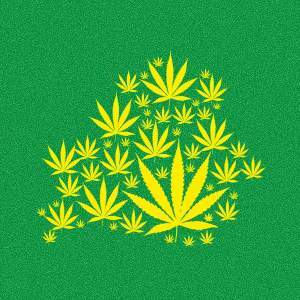 In Ukraine possession of up to 5 grams and the cultivation of up to 10 plants for personal consumption is also classified as an administrative offence. Of Belarus’s neighbours, it is Poland who has been the most progressive in terms of cannabis reform and in 2017 legalised medical marijuana. Moreover, nearly 80% of Poles were in favour of the legislation, a level of support that would be difficult to imagine in Belarus. In 2017, even the production of industrial hemp, a plant that contains only trace amounts of tetrahydrocannabinol (THC), the main psychoactive cannabinoid in cannabis, was made illegal. Since industrial hemp has a wide range of practical uses, particularly in the production of textiles and paper products, and no potential to be abused as an illicit substance, outlawing the crop seems to have been a hysterical reaction on the part of the government rather than a serious measure to protect public health. If, however, the Lukashenko regime is shielding Belarusians from cannabis and industrial hemp due to health concerns, they may be focusing on the wrong substance. In Belarus, like much of Eastern Europe, alcoholism is a significant health crisis that seems to affect, at least in some way, nearly every family in the country. Based on current statistics coming from the U.S., the legalisation of medical marijuana appears to result in a substantial decrease in alcohol consumption. In fact, a study published in 2017 found that in states where both medical marijuana and alcohol are sold, the legalisation of medical marijuana had reduced alcohol sales by an average of 15%. Of course, this only sounds like good news to those who view marijuana as significantly safer than alcohol for one’s overall health and wellbeing. With its never-ending financial crises, if Belarus’s authoritarian government is to be persuaded on the issue of cannabis reform, it will likely be due to economics, not ethics. In 2015, just one year after recreational cannabis became legal for purchase in Colorado, the state’s marijuana tax revenues were three times greater than those from alcohol sales. Additionally, though Colorado has a population of just 5.5 million, from 2014-2017 the state’s total tax revenue from cannabis sales was $506m. With sales from government-owned alcohol companies accounting for approximately 80% of Belarus’s alcohol sales, advocates for cannabis legalisation in Belarus will likely need to make their case to the authorities by presenting cannabis as a more profitable and less dangerous alternative to alcohol. Michael Dorman holds an MA from the University of Texas at Austin’s Centre for Russian, Eastern European, and Eurasian Studies. His research interests include WWII and the Holocaust in Belarus, post-Soviet Belarusian politics, and current social issues in Belarus.